Courtesy of Hideo Kojima's twitter account we now have an image of Metal Gear Solid running on the PS Vita, check out the image inside! Other than "Checking PS Vita edition" Kojima's tweet revealed nothing. The image doesn't show much really. The visuals look identical to the console version. The Vita version isn't said to hit shelves until sumertime. I personally will not buy the HD collection but instead wait until its available for the PS Vita as a different experience will be available. Also if you don't mind paying another $40 for the PS3 edition you will have to ability to 'Transfar' (no its not a spelling mistake) your save data onto you Vita and carry on playing on the go. 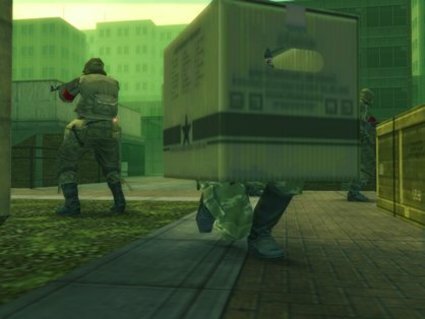 Metal Gear Solid HD Collection will include Metal Gear Solid 2 and 3 in a single package. So then will you be picking MGS up for the Vita? or will you just buy it for console? or are you waiting for Kojima to announce a new and exclusive MGS title for the Vita? And will you use 'Transfarring' or is it all just a waste of time? Let us know in the comment section below!